The thirty year war in Sri Lanka’s Northern Province has had a severe psychological effect on the children there, says Dr. Daya Somasundaram. COLOMBO: The thirty year war in Sri Lanka’s Northern Province has had a severe psychological effect on the children there, says Dr. Daya Somasundaram, Professor of Psychiatry at the University of Jaffna. 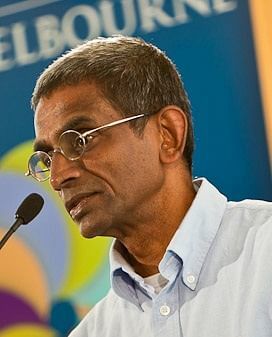 In his Anandarajan Memorial Oration delivered at Jaffna recently, Somasundaram quotes a 2009 study by T.Ebert, M.Schauer and others to say that 57 percent of North’s children had a “functioning disorder” and 29 percent were “full” cases of Post Traumatic Stress Disorder (PTSD). Some of the symptoms of functioning disorder are fright, anxiety, a feeling of disconnect and depression. Among symptoms of PTSD are migraine, epilepsy, stomach ulcer, and chronic fatigue. Somasundaram’s own researches reveal that 79 percent of the children in the districts of Kilinochchi, Vavuniya, Mullaitivu and Mannar were exposed to armed combat; 58 percent had seen bombing; 40 percent experienced artillery and mortar shelling; 30 percent had experienced attacks on their home; 40 percent had seen people being killed; and 77 percent had gone through multiple displacement. A study of medical students from the districts of the Wanni revealed that 63 percent had witnessed the unnatural death of a friend or a family member; 67 percent had escaped from the jaws of death; 43 percent had witnessed killings of strangers; and 80 percent had been in the midst of armed combat. Parents too had been disturbing the minds of the young for 30 years by feeding them with horror stories of war, deprivation and right abuses. Family elders and school teachers continue to brutalize kids by relying on corporeal punishment to secure compliance. With traditional control systems collapsing after the war, child abuse has gone up in Jaffna district from 32 to 99 between 2007 and 2014. In the Northern Province as a whole, in 2013, 19 percent were suffering from mental disorders and 17 percent were victims of alcohol and drugs abuse, Somasundaram says.